ELSS stands for Equity Linked Savings Scheme or in simple terms, it is a mutual fund scheme which invests primarily in the equity market and provides the tax saving benefits. Lower Lock-in Period – Lowest Lock-in of 3 Years compared to other tax saving schemes. Lower Expense Ratio – ELSS funds have an expense ratio of as low as only 1% whereas some insurance-related tax saving option has expense ratio in double digit. Flexible investment option with SIP or Lumpsum – One can invest as low as Rs. 1000 per month and when one has the fund can invest more as a lump-sum. Can have more than one SIP in the same fund as well. It is one of the routes for retail investors to enter the equity market. So retail investors who invest in ELSS tax saving funds have a lock-in period of 3 years which makes them remain invested for the long-term. So when one checks the return for the fund, they are positively surprised. But it also makes them feel ELSS funds is the only route to building wealth. No doubt it is one of the good routes to save tax as well as remain invested in the market to building wealth but it isn’t the only route to building wealth via mutual funds in the market. An investor who has invested in only ELSS funds tend to assume, it is good to invest in ELSS funds even when you are done with the tax saving purpose. 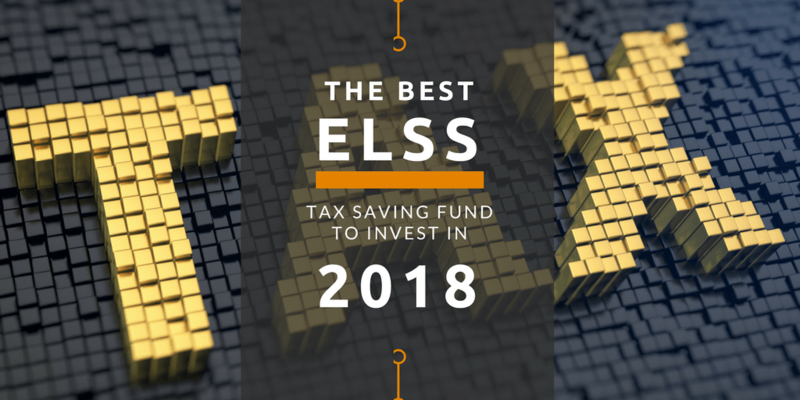 Here are 3 reasons why one shouldn’t be investing in an ELSS fund for more than the tax saving amount. Tax saving ELSS mutual funds have a lock-in period of 3 years irrespective of you opt to take tax benefits or not whereas other open-ended funds allow redeeming earlier if one needs to. Just keeping the option open to redeem is enough for not investing in the ELSS schemes more than the tax saving amount. One may argue having a lock-in period actually helps to remain invested for 3 years. If it is the case where you won’t be a long-term investor if there no lock-in period, one may consider but not otherwise. There are other funds by the same fund house where investors can generate similar or even better returns. So let us look at the best ELSS tax saving fund for 2018 which is Aditya Birla Sun Life Tax Relief 96 fund. The fund has a benchmark of S&P BSE 200. The direct plan for the fund has a return of 30% in the past one year. The same fund house has Aditya Birla Sun Life Pure Value Fund which is the best midcap fund to invest in 2018 with the same benchmark but with a return of 35% in the past one year. Investment in a single tax saving fund can mean no diversification at all. If you invest in various fund houses tax saving fund, you may end up investing in the same companies via different funds. Adding other than ELSS funds to the portfolio always helps. A large-cap fund for risk aversion and provide stability or a small-cap fund to boost the overall performance. If one only invests in the ELSS funds after the allocated tax saving, it may be tough to achieve the kind of diversification a portfolio needs. ELSS funds are created for the benefits of the taxpayers and motivate new retail investors towards equity investing. The primary objective of ELSS investment should be to save tax. 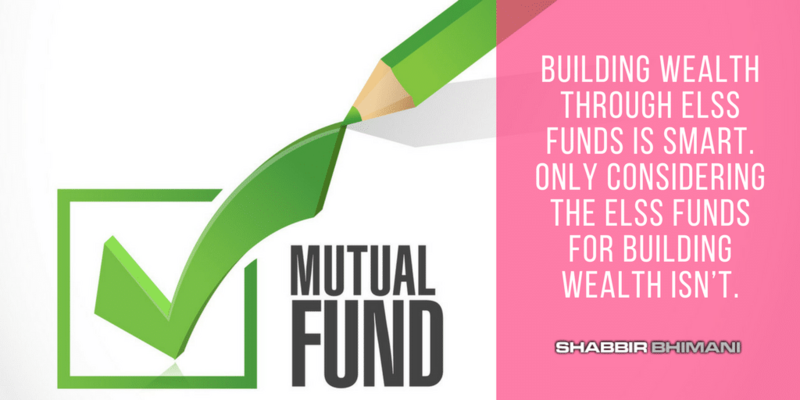 Opt for other diversified equity mutual funds if tax saving isn’t the primary objective of investment. Never invest without an objective. Building wealth through ELSS funds is smart. Only considering the ELSS funds for building wealth isn’t. You are here: Home / Financial Glossary / ELSS – Is Investing in ELSS Funds Any Good If One is Not Willing to Save Tax?